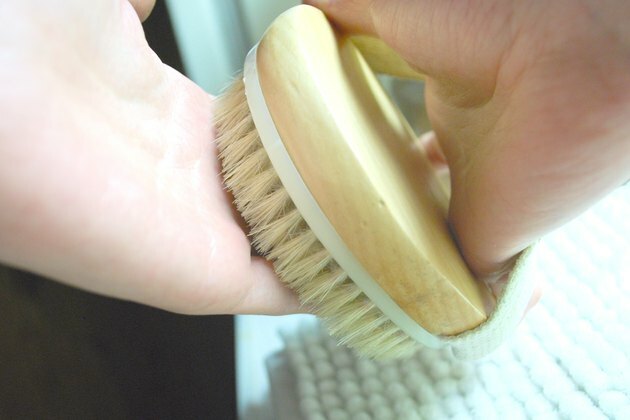 Dry brushing is one of the absolute best things that you can do for the largest organ of your body -- the skin. In fact, dry brushing may help diminish the appearance of cellulite, aid in removing toxins from the body and promote toned and supple skin, advises Ann Louise Gittleman, author of "The Fat Flush Fitness Plan." Spend about five minutes on dry brushing, and do it two to five times a week, preferably before bathing. Find a good brush. Department stores, health food stores and beauty stores all stock them, or you can purchase one online. Chose a medium-firm brush that's about the size of your palm. Make sure it has natural bristles, not synthetic ones, and a long handle. Brushes with goat, vegetable or boar bristles work well, advises Howard Murad, author of "The Cellulite Solution." 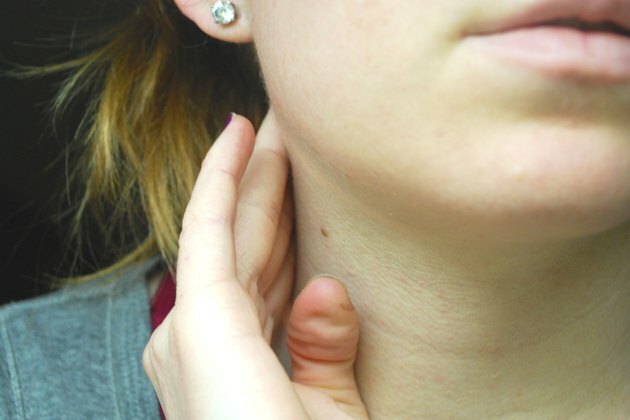 Use your fingers to gently massage the areas where your primary lymph ducts are. The ducts are to the left and right of your groin area and just below your collarbone. Spend only a few seconds on this portion of the massage, Gittleman advises. This helps open the ducts. Start your brush massage on the soles of your feet. Use a vigorous, circular motion. Apply fast and short, upward strokes as you move the brush over your feet and then legs. Continue brushing upwards as you get to your buttocks, waist, stomach and breast areas. Use the circular motion on your palms, then move on to short, upward strokes again as you brush your hands and arms. Move to the neck, and begin using downward strokes. Go out to your shoulders, down your back and down your breasts, stroking toward your heart. Avoid brushing your face. 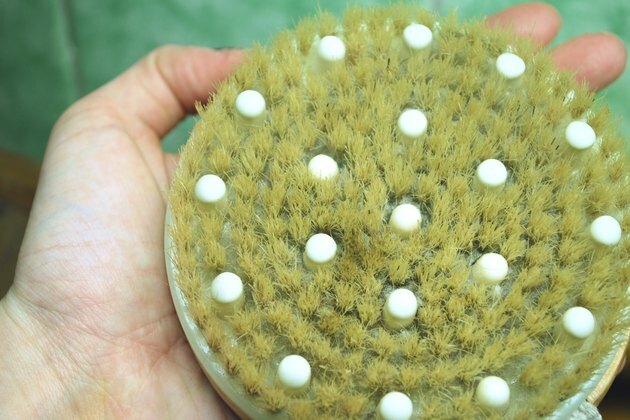 Avoid using any exfoliants during your shower, either chemical or mechanical, because this will irritate your skin after a dry brushing session. Wash your brush in warm and soapy water often to keep it clean. 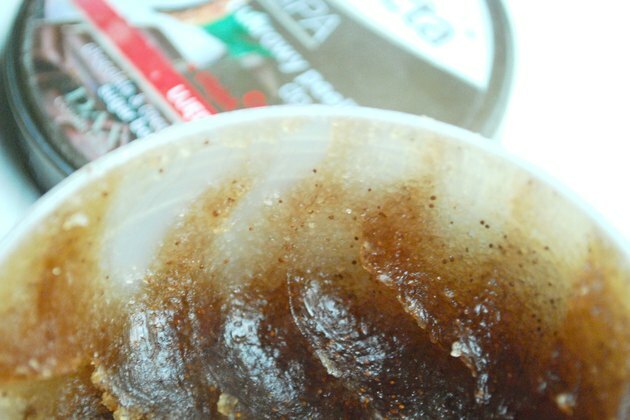 Soak it for a half hour in 1 quart of water plus a few drops of either tea tree oil or bleach once a week. A dry brush massage will help promote lymph flow as well as circulation. Do not brush bruised or irritated skin.